This is important to clarify as many students attempt to make an inference and then go find the supporting evidence. That is the reverse of what needs to happen. To successfully make an inference, students must first look at the relevant information and list those specific textual details. Once they have compiled those ideas, they need to figure out what they mean in order to answer the question. For students to understand how to do this, let's break it down into five explicit instructional steps. When first teaching these five steps, utilize simple text. This puts the emphasis on the strategy and not comprehension. Then, when you raise the text complexity, students have a five-step process to fall back on. Imagine a half a dozen students standing at the end of the street. Itâ€™s a dark morning at 7:00 a.m. The students are huddled together. Several are hugging themselves. Others are jumping up and down. And still others are rubbing their hands together and huffing on them. When the bus arrives, one student hollers, "Bus!" All of the students run to get on the vehicle. Using that text, let's apply the five-step process. Step 3: List the relevant details. 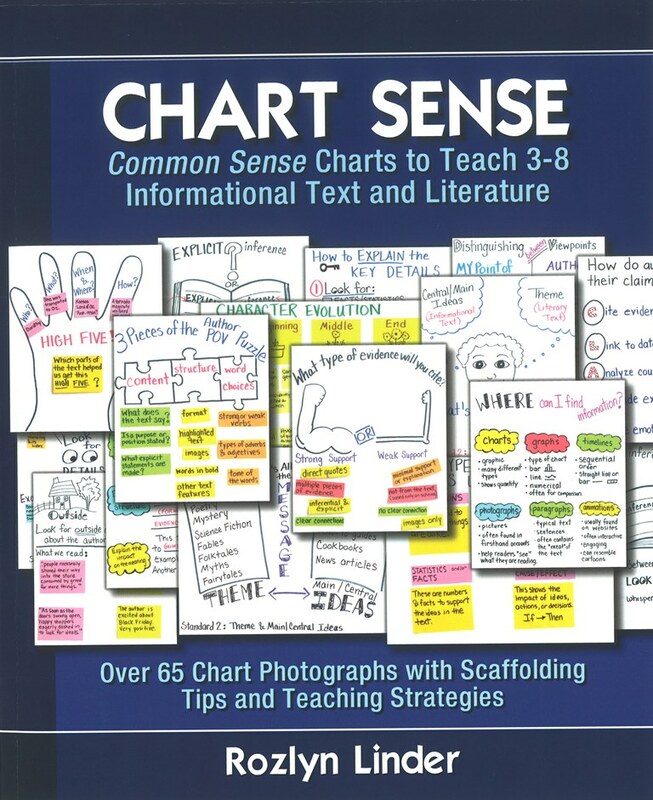 Roz Linder in her book Chart Sense depicts this process using a silhouette. Outside the silhouette, list the literal details stated in the text that are relevant to the question. In this example, which details from the text have anything to do with season, temperature, weather, etc? Step 3 requires listing the relevant details. There were other details mentioned in the text, like the fact that there were half a dozen kids and that one kid hollered when the bus was coming. However, some of these details aren't relevant to the question "What season is it?" One part of explicit instruction includes helping students to determine important from unimportant information. Once relevant details are gathered around the silhouette, it's time for Step 4. Model how to look for patterns and relationships among the details--to determine what these details have in common. To move from Step 4 to Step 5, students have to put clues together, which means thinking about the details one at a time. Inferences are made by putting multiple clues together. When you put jumping up and down with rubbing and huffing on their hands and moving around, it becomes more obvious that the kids are trying to create some heat. Add the fact that they're hugging themselves, and you begin to know that they're trying to keep warm--that's a mini-inference. Add in the other detail about it being dark at 7:00, and you begin to move even closer. It's not dark at 7:00 in the summer. It is dark at 7:00 in the winter. That leads you to think--it must be winter. The last detail: they ran to the bus. Of course, they ran because they were cold. They had been trying to keep warm, and that's why they were moving around. What's the answer? What's the inference? It's winter. And there it is. Step 5: Determine what it means. 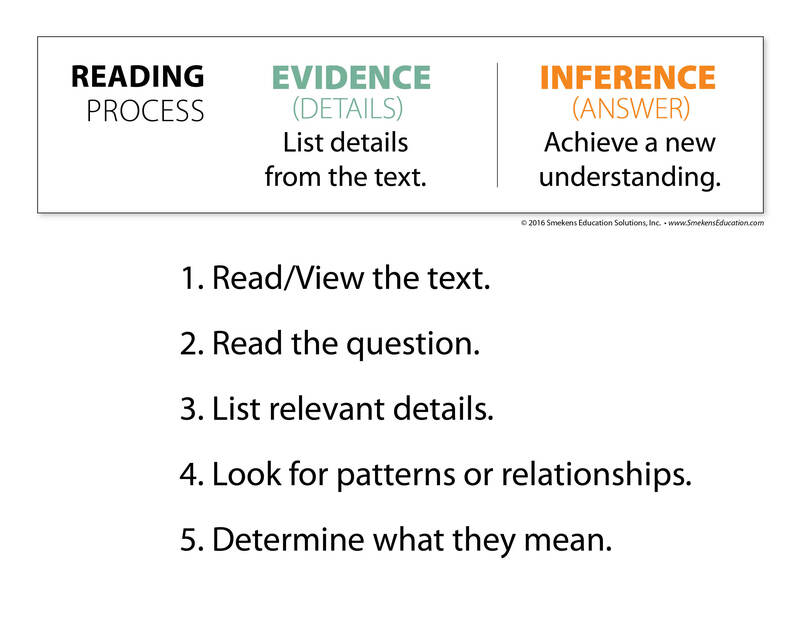 Step 3 and Step 4 are the critical steps to generate an inference. 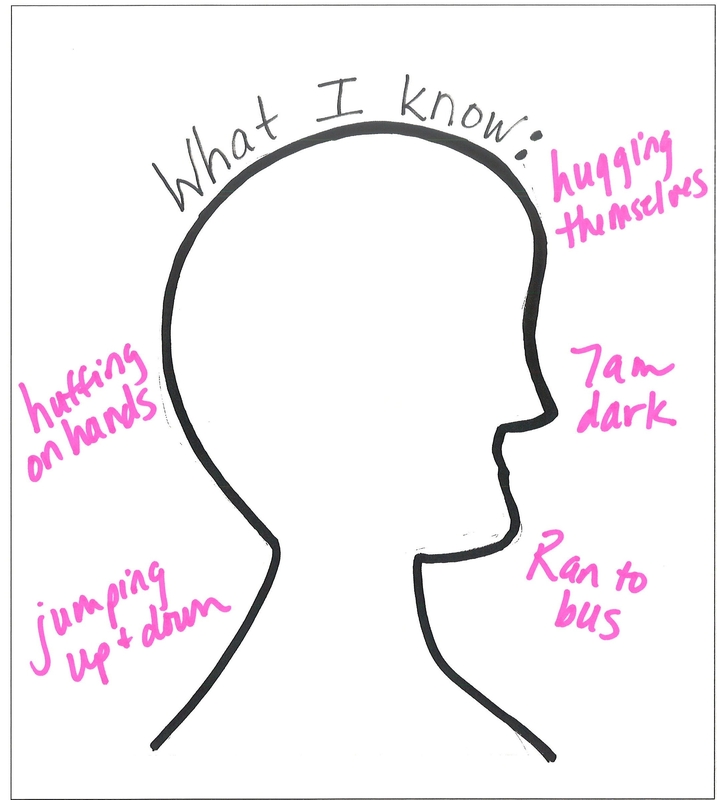 We need to help our students slow down and list the important, relevant details within Roz Linder's silhouette graphic organizer. 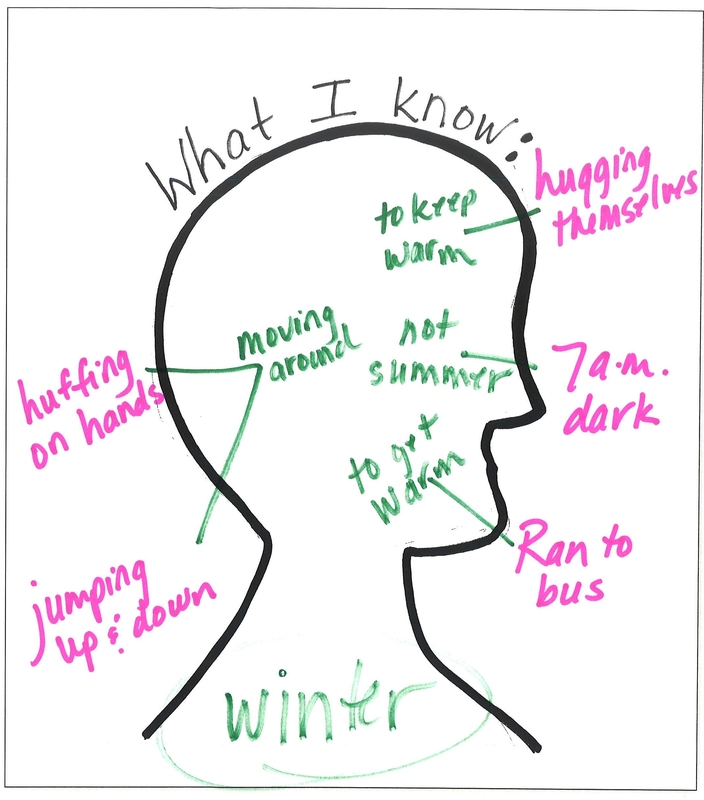 Then, they look for connections, relationships, and mini-inferences. That thinking leads to Step 5 and the ultimate inference/answer in the middle. 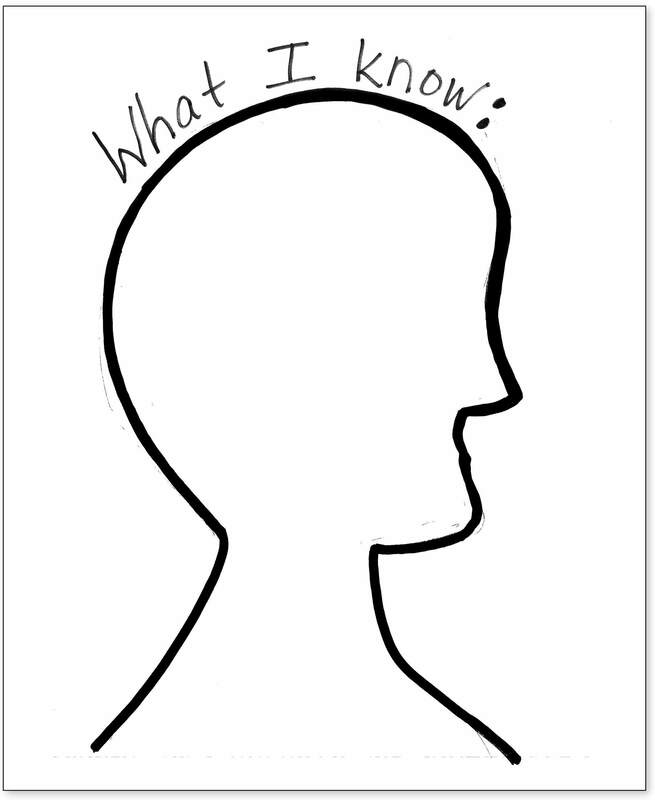 Kristina Smekens's Answer: The silhouette concept by Roz Linder and the 5-step process for making an inference is relevant to EVERY inferential question. Regardless of the question format (e.g., constructed response, extended response, multiple choice, etc. ), the reader has to first come up with the answer (or inference) to the question. This, therefore, requires that they execute the five steps to identify relevant details to then infer the answer. That said, if the question is a multiple-choice, it's often a two-part question (i.e., Part A/Part B). Part A wants the readers to select the inference that is most like their own inference. Then Part B provides several sentences from the original passage and asks which of these details supports the choice in Part A. Looking back at their own silhouettes, students are looking for the details that they noted that are similar to the answer options offered.